Having completed a recent move, I am slowly coming back to the smell game and starting off with Givenchy Pi, a men’s fragrance toting itself as a woody oriental. In Bottle: Mandarin with a vanilla and herbal scent up top. A pleasant if somewhat strange combination. Applied: Mandarin right away with a nice wave of herbs coming in soon after it. I smell the rosemary rather predominantly. Almost as fast as the opening rolls in, I get a big whiff of almonds and vanilla and the fragrance sweetens up almost immediately. It’s kind of a shame that almond and vanilla and generally considered feminine fragrances because if given enough of a chance, Pi could make anyone of any gender smell good. It’s certainly a bit of a change from what I usually see with men’s scents. I rather like that it started off typical enough then takes itself into a sweet vanilla direction. The fragrance wears on with sweet vanilla and almond until the woodsiness comes up and mingles with the vanilla. The end product is a rather pleasant vanilla woods. Extra: Pi was released in 1999 and has since split into a few flankers. You can still easily find Pi at department stores and even some drug stores. Design: Serge Mansau strikes again with this bottle design. It reminds me a bit of Ancient Egyptian architecture with its even, straight form and coloring. The bottle is rather hefty, a little difficult to hold, but it is otherwise a beautiful, interesting piece to have. Notes: Mandarin, tarragon, basil, rosemary, tonka, vanilla, benzoin, almond, brown sugar, cedar. Pi is like a fragrance exploring the three concepts of fragrance gendering. It starts off masculine, evolves a bit into the feminine, then ends on a rather unisex note. 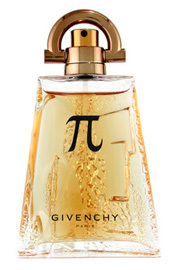 Reviewed in This Post: Pi, 2010, Eau de Toilette. Infusion de Vetiver is the latest in Prada’s infusion line of fragrances where two of my favorites (Infusion d’Iris and Infusion d’Homme) come from. 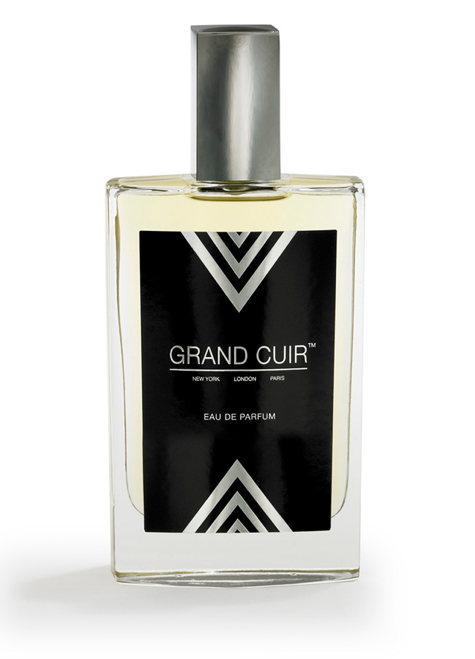 The line itself is focused on simple formulas based upon one or two concepts, such as tuberose in Infusion de Tubereuse . In Bottle: Very light sweet vetiver with a bit of bitterness from the citrus top note. Applied: The initial citrus opening is expected in most modern perfume, it’s quick to dissipate leaving you with the vetiver to contend with. This is like vetiver light, sweet, hay-like, a little bit grassy and there’s a hint of pepper lingering around in the background and layered over it all is this herb-like scent I can’t convince myself to stop smelling because it’s not helping the bland situation at all. As Infusion de Vetiver ages into its end stage. Yes, you read that right, it’s in end stage mode already. The fragrance goes into this sheer, barely there sweet vetiver sort of thing that doesn’t do the scent much justice before it drops off completely. The entire episode was in and out in about an hour. In terms of overall smell, the opening was all right, the mid-stage was pretty on par with the opening, and the end stage was a barely there ghost of what a fragrance like this could be. I just don’t see the point of this, it’s light, it’s easy to wear, yes, but it’s nothing interesting. Extra: So here we are with Infusion de Vetiver. While I enjoyed two of Prada’s Infusions line, they at least had something of a personality and were more interesting than this. Iris had that nice powdery, bitterness to it. D’Homme reminded me of my childhood. Vetiver just smells like sweet wet herbal hay. Design: Infusion de Vetiver is a limited edition with its designs that are more in line with Infusion de Tubereuse. There’s interesting shapes on the box and bottle cap, done in light green, dark grey, and black this time instead of purple. The bottle shape is the same as the other Infusions so if you were trying to collect them all, you will have a nice uniform set. Notes: Citrus, tarragon, ginger, vetiver, white musk, pepper. Once again, another fragrance I don’t see the point of. This time from a fragrance house that hasn’t been doing too badly with its offerings. Only, I don’t think it was a good idea for Prada to tackle vetiver. Especially not when so many other houses have done tons of vetiver scents in far better ways. Reviewed in This Post: Infusion de Vetiver, 2010, Eau de Toilette.